You know when you've just had it with a piece of furniture? So even though it's in the middle of Christmas holidays, you rip the little piece apart because you just cannot stand it? That's how I felt about my ottoman in my entry way. 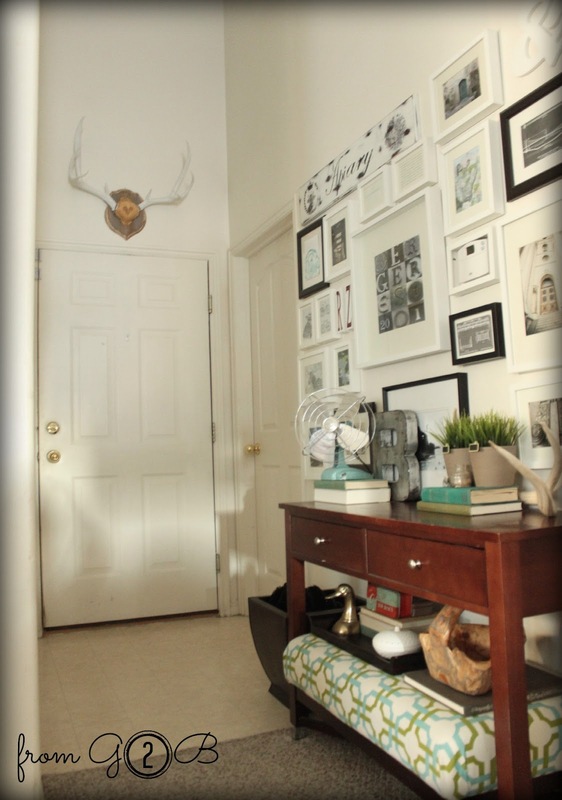 I love our little gallery wall and all the personalized art-- but the mdf ottoman and mdf entry table were two distinct tones of brown and I thought it was going to drive me crazy! Can you see what I mean, here? 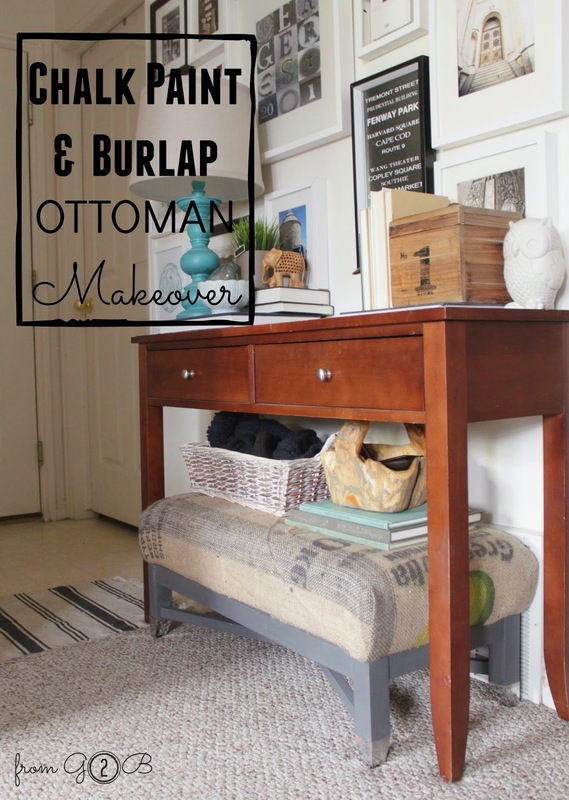 you can see the first time I recovered this ottoman back in 2011 on the blog. 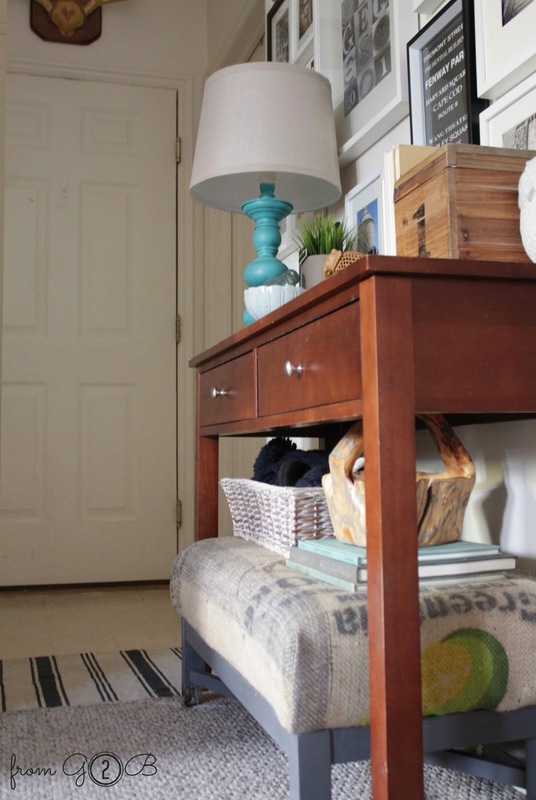 The table has this reddish color and the ottoman was a deep, dark brown. Probably something that wouldn't bug day one- but after a couple of years I was beyond bugged. So even though I had holiday decor everywhere I launched into the little project. I decided BB Frosch was the prefect solution to this mdf disaster for two reasons. This way I wouldn't have to prime the pieces and I know chalky paint has a fantastic adhesion to this sort furniture. And secondly, I could choose my own latex paint and mix the chalk powder right in. 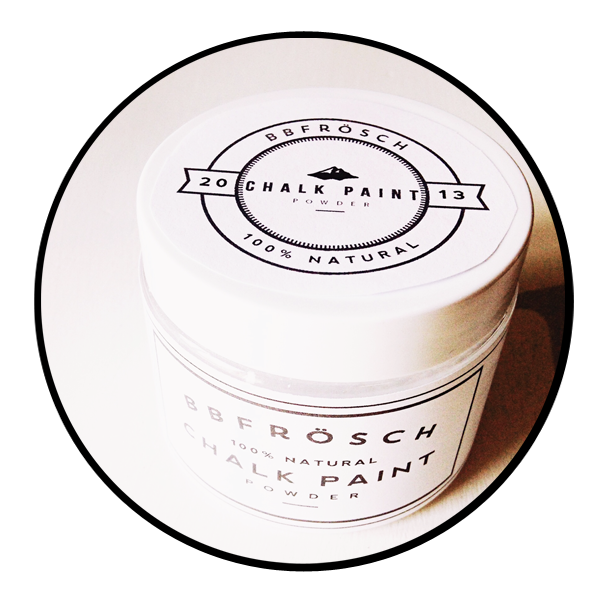 This was my first experience with BB Frosh- but I have made my own chalky paint before with this recipe- but I'm always concerned with something untested. 1] Take your piece apart, if possible. My frame separates, making the painting very simple. 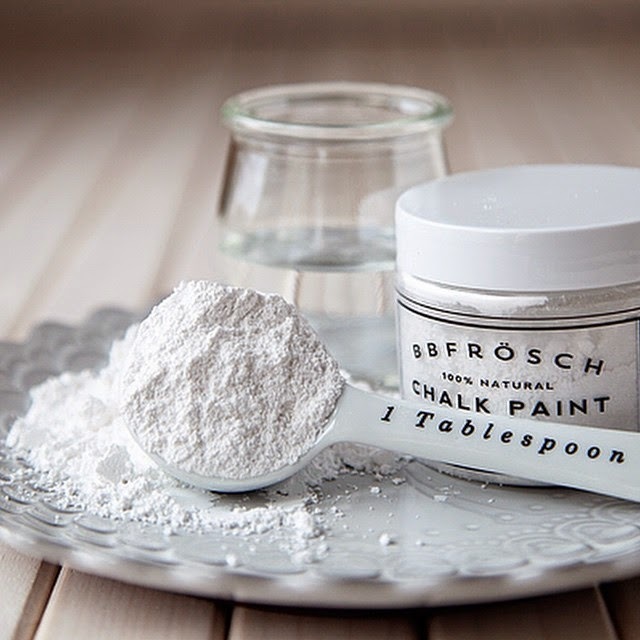 2] Mix your own chalk paint color following the directions. 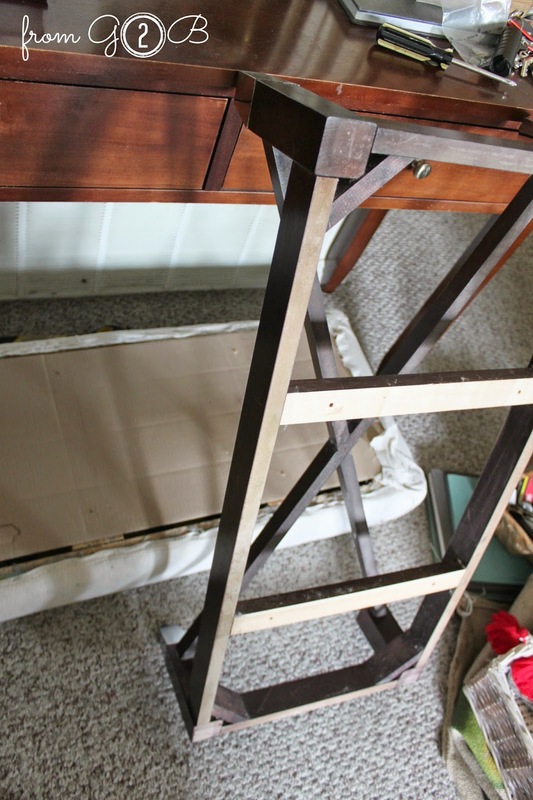 3] Paint- since the bottom half is comprised of beams of wood, I ended up painting the piece using a edging brush. It got into the cracks very well and went on very smoothly. 4] Wax the chalk painted furniture. Apply the wax in very thin coats and then wipe off any extra. 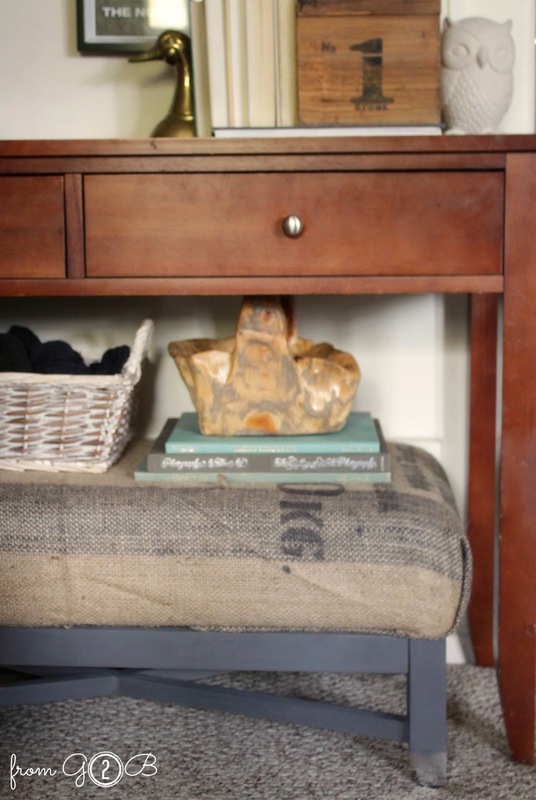 5] I used a burlap sack to cover the cushion. It is so very easy to do! 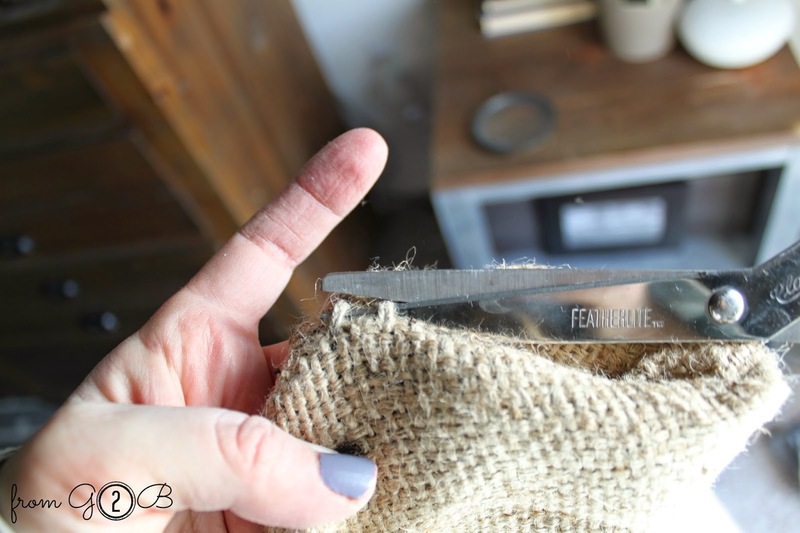 You just cut the thicker strings along the edge and it will easily separate into one large piece of burlap cloth. I like using the written side on the exterior- but you can do as you like. 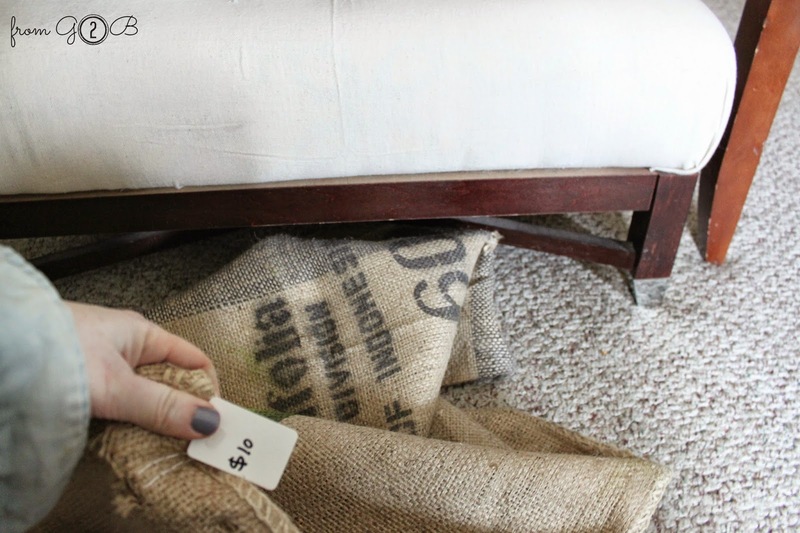 6] I laid the burlap on the ground, writing side down and then I just wrapped the cushion like a present. I then pulled the edges very tight with one hand and stapled it into place with the other. Unfortunately, this is terrifying for little Beau-dog and he runs shaking to hide each and every time I use that thing! I always love a nubby, tan fabric against the gray frame- don't you? 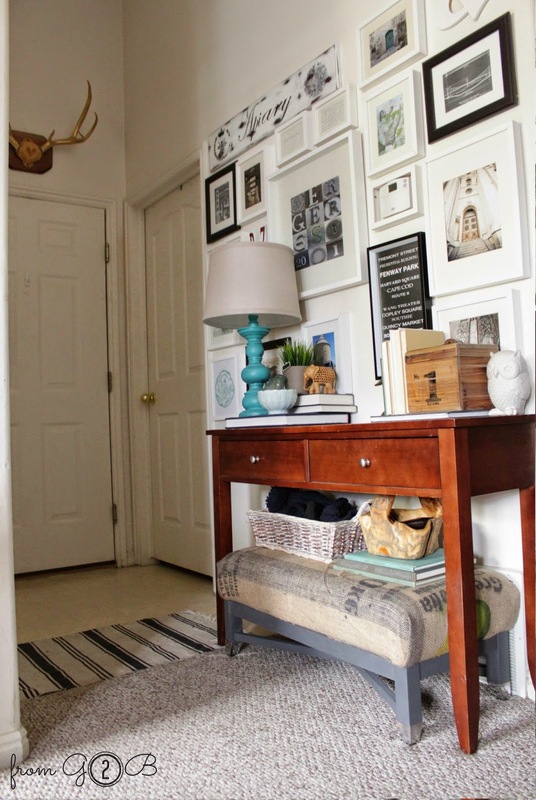 All in all- this was a simple makeover and on a 1-10 it's about a two in difficulty. You can easily accomplish a look like this- with little effort and it makes for such a fun change! 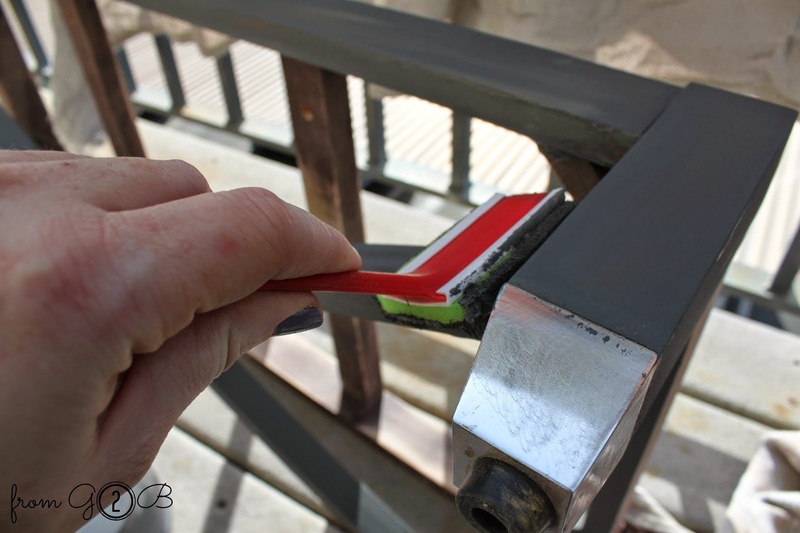 I enjoyed using BB Frosh- I felt confident the project would turn out and was happy to see the paint looks clear and crisp, without any trace that a powder was mixed in. All in all, I just wish I had done it sooner!